From BBC News. Pictured is David Weir, who won Britain's only athletics gold medal at the Beijing Paralympics. A total of 116,000 people have applied for 1.14 million tickets to see next year's Paralympic Games, London 2012 organisers Locog have revealed. Ballots will take place in some price categories in 126 of the 300 ticketed sessions across 16 of the 20 sports and for the opening and closing ceremonies. International Paralympic Committee President Sir Philip Craven said: "The response from the public for Paralympic Games tickets has been phenomenal." The Games start on 29 August next year. A total of 1.5 million tickets in total were on sale for the Paralympics, which will feature more than 4,200 athletes, with a variety of disabilities, from 150 nations will take part. It is the first time in history that sessions at the Paralympics have been oversubscribed and Sir Philip continued: "To have over a million tickets applied for 11 months out from the Games is unprecedented. "It underlines the growing excitement for what will be a tremendous sporting event and I could not be more thrilled." Locog chief executive Paul Deighton said: "The UK's love of sport and support for the Paralympic movement shows they have taken the Games to their hearts. "When the Paralympic Games come home next summer we can look forward with confidence to packed venues cheering on our athletes." Road cycling, sailing, powerlifting and sitting volleyball are the only sports in which at least one session has not sold out. Locog will now finish processing the applications before holding the ticket ballots. Payment for the tickets will be taken by 31 October and applicants will find out by 18 November if they have been successful. In December the remaining tickets will go on sale, on a first-come, first-served basis. Remaining tickets for the Olympic football tournament will go on sale at the same time. Further contingency tickets for both the Olympics and Paralympics will be sold next spring. BBC Sports News correspondent James Pearce described the sales figures as "extremely impressive". On Monday, the day the window for applications for Paralympics tickets closed, London 2012 chairman Sebastian Coe told the BBC: "We have a head-start with Paralympic sport in Britain." Lord Coe added that the appreciation of the Games among British youngsters could not be overstated. "Look at the extraordinary scenes in Trafalgar Square just a couple of weeks ago when we celebrated Paralympic Day," he said. 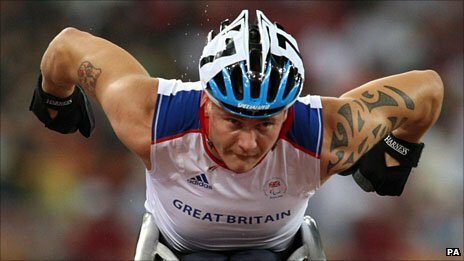 "Young kids from local schools were getting excited about seeing Ellie Simmonds, Oscar Pistorius, Dame Tanni Grey-Thompson and David Weir. "The kids really do get it - for them it is excellent sport and the competitors have become household names. "For young people, Paralympic sport is actually an interesting metaphor. "It is about courage and determination, it is about equality and sometimes it is about overcoming extraordinary setbacks in life. "But what they also know is that they are watching things that they can't do which is a pretty good way of defining sport really." BBC athletics commentator Paul Dickenson, who has covered the Games since Atalanta in 1996, said that famous Paralympians had definitely raised the profile of their sports. "Look at the polls that BBC Sports Personality of the Year has achieved in the last few years where both Ellie and Tanni have reached the last three as sportswomen let alone Paralympic sportswomen," he said. "The profile that the general public have of these people is much, much higher than it has ever been before. "And of course at every Paralympic Games I have ever been to, the medal count for the Great Britain team has just got higher and higher. "We finished second behind China in Beijing and obviously we want to try to achieve that again by the time we get to London. "There is a feeling that Paralympic sport is a concession made to people with a disability to take part in sport. "But to be honest, if you have ever been to wheelchair rugby you would be utterly amazed at the commitment and entertainment value these sports give." The used water that seeps on to the streets of downtown Johannesburg from the wretched bowels of the Doornfontein Chambers building is a milky blue. Similar in colour to the cataract clouds in the eyes of the blind Zimbabwean beggars who, guided by their assistants, also emerge from the hijacked building every morning to walk, or catch taxis and trains, to intersections in Johannesburg and much further afield. Fifty-one-year-old Jethro Gonese's destination is Springs. On Tuesday, after a sprightly five-minute walk to Doornfontein station and an hour-long train ride, Gonese is at his regular intersection on a flyover on the R554 near Pollak Park. At the traffic lights, elbows hooked into those of his 20-year-old son, Ishe, his assistant for the day, Gonese walks the white line. The sun is scorching and the exhaust fumes irritate. Trucks and cars come past, including a pink "Oh-so-Springs!" sports car with colour co-ordinated tailfin, mag wheels and a pair of furry pink dice hanging from the rear-view mirror. Another vehicle bears department of home affairs branding on the side. The occupants of both cars, like many others, ignore the pair. Ineligible for one of the work, study or business visas the department of home affairs made available to Zimbabweans during last year's documentation drive to "regularise" their stay in South Africa, Gonese is relieved the department's officials were oblivious to his presence. "Luckily they didn't notice us, or notice that we were Zimbabweans," he says, "I don't want to be harassed." Alms are few and far between and in the first hour Gonese picks up R3.70. Later, he says that after spending seven hours at the intersection before calling it a day, the duo have begged a measly R10. The round-trip to Springs for Gonese and his son cost R30. Beggars who spoke to the Mail & Guardian say they can make anywhere between a few coins to R100 a day depending on the weather and how close it is to payday. Says Kennedy Nyoni, a 29-year-old beggar who came to South Africa seven years ago: "Our main reason for being here in South Africa is not to make something. It is just to make a living here. It is a hard living, but it is still a living -- something we can't do in Zimbabwe because, even if the economy is slowly recovering, people don't have a lot of money to give us. In South Africa or in Zimbabwe, our jobs are the same -- we are beggars." All the beggars who spoke to the M&G say they grind out a living in Johannesburg to send money home to support family, especially children, usually left behind with members of their extended family. Ellen Ziya has lived in South Africa since 2004. She has two adult children living with her in South Africa and seven younger ones with her family in Bulawayo: "Every two weeks I try and send about R300 home to my children. We usually send the money, or groceries, with the bus drivers who are going to Bulawayo and they charge an extra R20 for every R100 we send, or depending on the size of the carrier bags," says Ziya (46). She averages around R60 a day in alms and needs R200 a school term for fees alone for each of her children back home. According to non-governmental social workers, there are an estimated 600 blind and disabled Zimbabweans begging on Johannesburg's streets. Migration to South Africa appeared to increase steadily after the implosion of the Zimbabwean economy quickly affected the most vulnerable. For the likes of Nyoni, 32-year-old Maphios Chimbwereshe and Nicholas Maponde (33), this meant that state-funded self-help projects for disabled people collapsed. The trio have known each other since childhood, having grown up together at the Copota School for the Blind, in Chivhu, a town in the southeastern province of Masvingo. There, they learnt self-sufficiency, to read Braille and farming skills such as raising pigs and trades like leatherwork. "In 2004 the economic crisis got so bad that funding stopped, projects collapsed and there was nothing for us to do but to be hungry. So we came here," says Nyoni. Even the blind who were integrated into mainstream Zimbabwean society started losing jobs as inflation soared and the Zim dollar deteriorated, becoming more worthless than a single square of toilet paper. Gonese was working "at a normal school as a schoolteacher. I had an assistant to help with the marking and the chalkboard work but it reached a point when the government said they couldn't afford to keep paying the assistant. I shared my Z$1 000 salary with him for a while, but it got to the point when a loaf of bread cost more than that. Then, there was no point in carrying on, so I came here in 2007," he says. 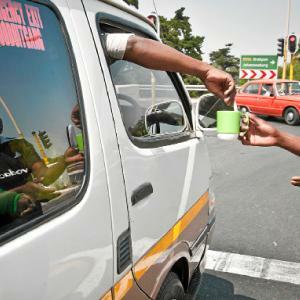 Many beggars are "border-jumpers" who arrive in South Africa illegally and without passports or identity documents. The trip to Johannesburg can take as little as 48 hours, but the journey is treacherous. "The hardest part is hiding from the Guma Gumas [the touts/bandits who prey on the desperate Zimbabweans]. I was afraid of them because they crack you, knife you and take everything from you," says one border-jumper who asked not to be named for fear of police victimisation. "I remember running away from them down these steep slopes with three other blind people -- I was very afraid," he says. Gonese and many others like him believe the Zimbabwean government has other rebuilding priorities before it can start resurrecting projects for the disabled and that the Zimbabwean economy has not recovered sufficiently for them to return home -- either to work, or to beg. Which is why the spectre of deportation is palpable. Especially since the South African department of home affairs began its Zimbabwe Documentation Project (ZDP) to issue work, study or business visas to Zimbabweans in late 2009. "We don't really fit into any of these categories," says Gonese, "so what do we do? Even as a teacher I can't work in South Africa as the education department does not know what to do with a blind teacher." Just over 275 000 Zimbabweans have applied for "regularisation" by South African authorities. Many, including able-bodied Zimbabweans who spoke to the M&G, said they had not bothered applying for reasons including the Zimbabwean authorities' inefficiency in processing identity documents, the high cost of the applications and their not being suitable for the specific visas available. The community of blind beggars in Johannesburg had written to Mkuseli Apleni, the home affairs director general, before the cut-off date for the ZDP applications last year. Outlining their plight and listing themselves, the beggars had asked for a special dispensation. Apleni acknowledged their letter in a press conference in January this year but, according to the beggars, the department has not contacted them since. Home affairs spokesperson Ronnie Mamoepa failed to respond to queries about the department's lack of engagement with the blind Zimbabwean beggars. In response to another M&G query, he said "all undocumented Zimbabweans would be treated like every other undocumented foreigner in South Africa". This is longhand for "deportation" the beggars fear. Johannesburg's blind beggar community lives, predominately, in five derelict buildings in the city's downtown area. "People who have been here first make contact with those suffering at home. There is a network and guidebook of sorts to getting to Jo'burg. Things are used to flowing, just like water," says Nyoni of how the community has developed over the past decade. "Life here is better than in Zimbabwe" is a common refrain from beggars, despite the subhuman conditions they live in and the exploitation they have to endure. In Doornfontein Chambers there is no electricity -- the darkness inside the hijacked building leaves anybody blind. Water is stolen from fire extinguishers. Some walls are daubed with human faeces and the stench of urine permeates. The warehouse-like building has been almost entirely plundered of any metal that can be sold off and the elevator shaft is now completely exposed. In the pitch-blackness of the building it is a danger to both the blind and the sighted. The labyrinthine floors have been individually partitioned, using cardboard, bits of wood and election posters, into small rectangular homes. "As blind people in Johannesburg it is really hard to find accommodation. Landlords see us and think we are not independent and will kill ourselves and they will be held responsible," says Enoch Mukanhairi (49), who has lived in Johannesburg since 2007. "[Doornfontein Chambers] was hijacked and those people understood money, that we could pay [the one-off R500 fee], so we have all come here," he says. But now, their erstwhile "landlords" have disappeared and the building's inhabitants have until October 10 to find alternative accommodation before eviction by its new owners. Doornfontein's blind community has located another building where rent ranges from R600 to R1 000 a month, plus an extra R20 a person for electricity and water. The building, known colloquially as "SupaQuick", has two floors with 400 cubicles each. It is much cleaner, formally organised and has basic services. The most expensive, and largest, cubicles are about 3m by 3m. Day-to-day living on a brutal edge for those in the community is punctuated by the exceptionally heartbreaking. Mukanhairi's wife, Albertina, who is also blind, gave birth to a stillborn child at Johannesburg General Hospital in February and, she says, was told by the nurses "the baby died because I was not supposed to give birth because it was very bad, unnatural, for blind people to have babies. They wouldn't feed me properly in hospital and then they said I could not see the baby or bury it until I paid them R2 000. The baby was only buried after a doctor stopped them." Albertina, and several others, says the double whammy of being blind and Zimbabwean in Johannesburg meant receiving atrocious service from nurses at public hospitals and clinics. "They tell us that we should go back and get help from our own government and hospitals," says Albertina. Government social workers have bad reputations too. Several beggars alleges they "acted worse than the police", removing beggars from street corners and detaining them for the entire day without food or water. Some say they have been beaten with rubber pipes. Yet the blind Zimbabwean beggars of Johannesburg all agree: "Life here is better." They remain determined to regain their humanity in the eyes of an often uncaring city. Mukanhairi and Gonese have founded the Integrated Community Centre for the Blind and Disabled in South Africa and have started self-help programmes, including knitting clothes and cane furniture weaving for sale. "We don't want charity, we just want an equal opportunity," says Gonese. Even fewer regular characters on scripted programming on broadcast networks feature a character with a disability this TV season than last one. According to the annual “Where We Are on TV” study by the Gay & Lesbian Alliance Against Defamation, issued Wednesday to coincide with National Disability Employment Awareness Month, five of 647 regular characters on broadcast networks have a disability. Cable programming fared better: at least 10 regular characters and four recurring characters with a disabilities appearing on scripted cable shows. The report’s authors say these numbers don’t reflect reality, as the U.S. Census Bureau found that 12 percent — 36.4 million U.S. citizens — reported living with disability in 2010. The report examined all characters expected to appear in 91 shows announced for the 2011-2012 season. The group analyzed character gender, sexual orientation, race, ethnicity, and whether they had a disability. This is the second year the study has also examined characters with disabilities. Three of the five broadcast characters with disabilities will appear on the Fox network: the title character on “House,” Dr. Gregory House, uses a cane, Artie Abrams on “Glee” uses a wheelchair, and Maw Maw on “Raising Hope” has Alzheimer’s disease. 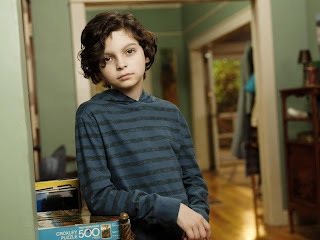 On NBC, young Max Braverman (pictured) on “Parenthood” has Asperger's syndrome and Dr. Albert Robbins on “CSI: Crime Scene Investigation” (CBS) has prosthetic legs. The latter show's Robert David Hall is the only actor of the five with a known disability, according to the report. The study shows that neither ABC nor The CW will feature any regular characters with a disability this season. Even these characters — all Caucasian and four of them male — “represent a disproportionate view of reality,” according to the report’s authors. By contrast, at least eight characters with disabilities are portrayed by actors with actual disabilities on cable programs, the study notes. The character Thor Lundgren on Showtime’s “Nurse Jackie” has diabetes and a prosthetic eye, a storyline inspired by actor Stephen Wallem, who plays Thor; and ABC Family’s “Switched at Birth” features three characters with disabilities: Emmett, played by Sean Berdy, and Melody, played by Marlee Matlin, who are both deaf, and Daphne, played by Katie Leclerc, an actress with Ménière's disease. MEXICO CITY — Rodrigo Telon Yucute (pictured) focuses on the sound of the voices, raises a camera and snaps off a shot, capturing an image of a couple laughing as they sit on a yellow park bench. He shows it to the subjects, but cannot see it himself. The photographer-in-training has been blind for nearly 30 years. "When I was young, I met a lot of people and it always caught my attention how they would take photographs to keep as mementos," Telon said. "I like to take photographs to capture a moment that I can later share with my family and friends so they can see what my life is like." Telon was a 22-year-old guerrilla fighter in his home country of Guatemala when a land mine exploded beneath him, ripping apart his left forearm and destroying his eyesight. After years of rehabilitation, he learned Braille and how to use a white cane to get around. Now 51, Telon is fulfilling his longtime wish of taking photographs. 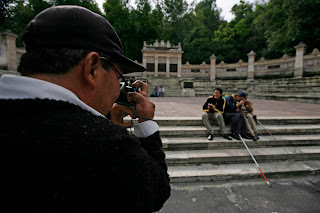 Founded five years ago by professional Mexican photographer Gina Badenoch, the foundation has been teaching the blind to express in photographs how they perceive the world. Her students use their hearing, touch, smell and taste to choose their subjects and create their images with the help of digital cameras. The main purpose of the photography workshop is to teach blind people they can do things that would seem impossible, Badenoch said. "It helps them feel part of society again. It helps them be seen and be heard again," she said. "Being able to share something I made and hear people who are seeing your photograph describe what you created in your mind is something I enjoy tremendously," said Jose Manuel Pacheco Crispin, a 33-year-old university student who began losing his sight at the age of 16 because of a retinal degenerative disease. Now a photography teacher at the foundation, Pacheco was part of the first group to take the workshop five years ago. After years of struggling to accept his new, sightless life, Pacheco said photography has empowered him and helped him to sharpen the senses he does have. "It has helped me to break barriers and to keep having crazy ideas," said Pacheco, who recently climbed to the top of Iztaccihuatl, a 17,159-foot (5,230-meter) volcano near Mexico City. He and other visually impaired friends made the climb guided by Erik Weihenmayer, the first blind person to reach the summit of Mount Everest in 2001. Photography doesn't come easy. Beginners often leave out the heads or legs of their subject, but with practice they learn to improve their images. In a sense, they're photographing the sounds they hear or the smells they sense. Dominguez, 49, first lost sight in his right eye when he was a teenager due to glaucoma. He has lost 95 percent of his vision on his left eye because of macular degeneration. While talking at a Mexico City restaurant, Dominguez explained the information he was picking up from his hearing. "To my right, the waitress dropped the knives first and then the forks," he said. Each blind photographer has a project to work on for two months. Dominguez said he wants to photograph people who help him as he navigates the chaotic streets of Mexico City. Telon, who lost his parents and two brothers during the civil war in Guatemala and has lived in Mexico since 1990, will focus part of his project on an 8-year-old girl who lost her arm and who refuses to wear her artificial limb. "I want to tell her my story and how I got accustomed to using my artificial arm," Telon said. He may also tell her about a daughter he saw for the last time 29 years ago, when she was 6 weeks old. "When I left to join the guerrilla she was starting to smile," Telon said. "That's a photograph I keep in my mind." NEW YORK – Major disasters in New York City such as the September 11th terrorist attack and more recently Hurricane Irene, have shown that the city is not prepared to meet the needs of people with disabilities during disasters. A lawsuit filed today in Federal District Court in the Southern District of New York alleges that Mayor Bloomberg and the City of New York discriminate against men, women, and children with disabilities by failing to include their unique needs in emergency planning. The suit is brought by Brooklyn Center for Independence of the Disabled (BCID) and Center for Independence of the Disabled, New York (CIDNY), two non-profit consumer-based organizations that advocate for equal rights and social integration of people with disabilities. The plaintiffs are represented by Disability Rights Advocates (DRA), a non-profit disability rights legal center headquartered in Berkeley, California that specializes in high-impact cases on behalf of people with disabilities. A decade after the September 11th terrorist attack, disabled New Yorkers continue to face disproportionately high threats of harm and death when disasters strike. During Hurricane Irene, many of the designated emergency shelters were not accessible to wheelchair users. Televised emergency announcements from city officials did not provide American Sign Language interpreters and evacuation maps from the city were not useable by persons with no or low vision. School buses used for evacuating residents had no lifts or seating areas for persons with mobility disabilities. 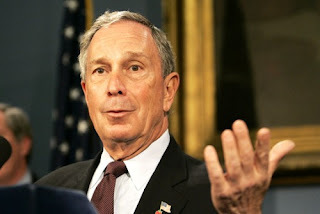 Mayor Bloomberg suggested residents rely on taxicabs for evacuation transportation after the subways and buses stopped running but only 1.8% of taxicabs are accessible to wheelchair users. Tania Morales, a wheelchair user living in Brooklyn, was turned away from an emergency shelter during Hurricane Irene. This was because the gate for the ramp into the shelter was locked and the shelter staff could not find the key. Ms. Morales was forced to return home and remain there during the hurricane. “I was very scared waiting outside the shelter while they tried to find the key because the wind was picking up and I did not know what I should do.” Ms. Morales still does not know which shelters, if any, will be accessible during an emergency. This pattern of neglect will continue unless Mayor Bloomberg and the City of New York address this crucial problem and undertake emergency planning and preparedness efforts that meet the needs of New York City’s population of almost 900,000 individuals with disabilities. Of the city’s nearly 900,000 disabled residents, more than 180,000 have a hearing disability, more than 210,000 have a vision disability and over 500,000 have a mobility disability. Therefore, it is imperative that the city implements a comprehensive cross-disability emergency plan that meets the various needs of its disabled residents. “Our constituents and members will continue to face a threat of disproportionate harm and death if the city does not take action in addressing this problem,” said Marvin Wasserman, Executive Director of BCID. “The aftermath of Hurricane Irene reveals a blatant disregard for the lives of persons with disabilities and clearly shows that our efforts over the past 10 years to inform the city of its shortcomings in emergency planning were largely ignored,” said Susan M. Dooha, Executive Director of CIDNY. “It’s an absolute disgrace that a decade after the September 11th terrorist attack, there is still an absence of planning for our most vulnerable citizens. These past and recent events are symptoms of the city’s underlying problem: the lack of an emergency plan for people with disabilities,” said Plainiffs’ attorney Julia Pinover of Disability Rights Advocates - NY. • Providing assistance to persons with disabilities during recovery after an emergency. The quiet campus of Gallaudet University in Northeast Washington was always a place where students could speak the unspoken language of deaf America and be understood. That is no longer so true. For the first time in living memory, significant numbers of freshmen at the nation’s premiere university for the deaf and hard of hearing arrive lacking proficiency in American Sign Language and experience with deaf culture. Rising numbers of Gallaudet students are products of a hearing world. The share of undergraduates who come from mainstream public schools rather than residential schools for the deaf has grown from 33 percent to 44 percent in four years. The number of students with cochlear implants, which stimulate the auditory nerve to create a sense of sound, has doubled to 102 since 2005. Gallaudet is also enrolling more hearing students in programs to train sign-language interpreters and teachers. Together, the changes are redefining a school that sits at the very epicenter of American deaf society. A new generation of deaf and hard-of-hearing children can study where they please. Changes in federal law have rerouted deaf students from residential deaf schools to mainstream public campuses, which are now obliged to serve them. Cochlear implants are gaining acceptance and changing the nature of deafness, although the deaf community remains divided on their use. The influx of “non-signers,” who can hear and speak or who read lips or text, may be necessary for Gallaudet’s survival. Yet it has sparked passionate debate on whether the university is becoming “hearing-ized” and whether deaf culture is slipping away. There was talk of a vanishing deaf culture at Gallaudet five years ago, when protesters shut down the campus over the appointment of then-Provost Jane Fernandes as president. More than 100 demonstrators were arrested. Trustees eventually revoked the appointment. The consensus on campus today is that the protest centered on the propriety of the presidential search. Protesters said outgoing President I. King Jordan hijacked the proceedings to elevate Fernandes, his protege. One year during her tenure as provost, Fernandes said, upperclass students hazed freshmen, ordering them not to speak in any of their classes so that they were forced to sign. “I had freshmen in tears, telling me that Gallaudet recruited them under false pretenses, because they were told Gallaudet welcomed all deaf students,” she said. After Fernandes’s ouster, accreditors from the Middle States Commission on Higher Education put Gallaudet on probation. The censure dealt a stunning blow to Gallaudet’s academic currency. Some feared that the school would close. Accreditors found academic standards virtually nonexistent. The university admitted students who could not graduate and employed professors who could barely sign. The institution was not keeping pace with the changing deaf world. Undergraduate enrollment had slipped from 1,274 in fall 2005 to 1,040 in 2007. The Gallaudet of today scarcely resembles that fractured campus. President T. Alan Hurwitz, recruited away from a rival deaf school within New York’s Rochester Institute of Technology, has raised standards and largely united Gallaudet around a new vision of bilingual deaf education. “People are beginning to realize that American Sign Language is a value added,” said Hurwitz, who has been deaf since birth and is a fluent signer. Twenty months into his administration, there is little to protest. Gallaudet’s graduation rate has risen from 25 percent to 41 percent in four years. The share of graduates who continue their education has nearly doubled to 63 percent. The school has raised admission requirements, and average ACT reading scores for entering freshmen are at their highest point in recent history. Undergraduate enrollment has rebounded to 1,118. Hurwitz has calmed the culture wars with a schoolwide policy that affirms the primacy of sign language but also posits Gallaudet as a bilingual school. But upholding that standard is increasingly difficult on a campus where nearly half of the freshmen now come from mainstream high schools and dozens arrive not knowing how to sign. To help them, university leaders last year created a six-week crash course for 46 new signers, an orientation to Gallaudet and to the deaf world. Some students agree. Others favor a more patient approach to new signers. 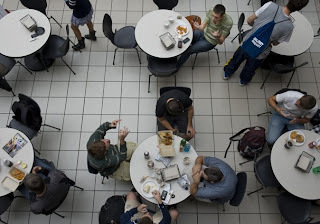 Tatum sat with four other students in the campus dining hall on a recent day. Three of them, including Tatum, came from public schools and learned to sign at an advanced age. “Before I came to Gallaudet, I thought I was the only person in the world who was hard of hearing,” Tatum said. Now, he plays on Gallaudet’s celebrated football team, a squad that invented the huddle in the 1890s as a way to hide signs from the other side. At the lunch table, Faafiti and Tatum communicated in sign, even though both are more comfortable with spoken English. Leila Hanaumi, a 21-year-old senior, attended a deaf school and knew Gallaudet and its history when she enrolled. She’s one of a few on campus who fully appreciate how much the school has improved; at an institution where the population turns over every few years, memories are short. The university’s future may depend on reaching further into the mainstream of American education. Gallaudet recruiters have tripled the number of annual visits to public schools since 2006. A trip might focus on one or two students who know nothing of Gallaudet. Charity Reedy-Hines, the chief recruiter, recalled a recent visit to a public high school in Mississippi where recruiters met with two deaf students. Anne Whitledge (pictured) will never get her job back at Maxim Healthcare Services -- or another paycheck or a note of thanks for her service. 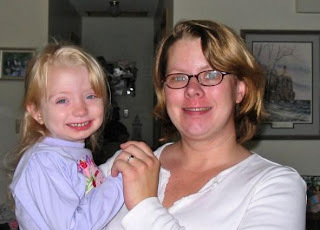 The St. Paul nurse died of brain cancer last year at 43. But under a federal court settlement announced this week, the Maryland health care corporation that fired Whitledge in 2009 will send a letter of condolence to her survivors -- along with a check for $160,000. The closely watched lawsuit that produced Wednesday's settlement marks an important test of the 1990 Americans With Disabilities Act (ADA) and is likely to change the way employers treat ailing employees, attorneys said Thursday. "This decision demonstrates the [government's] commitment to aggressive enforcement of the ADA,'' said Doug Christensen, chair of the labor-employment group at the Dorsey & Whitney law firm in Minneapolis. "It shows employers the importance of engaging in an individualized, interactive process with employees who are potentially disabled." Celeste Culberth, the attorney representing Whitledge's estate, said the case will "get the word out to employers that people who have cancer and other disabilities are capable of working. Regular folks can have confidence that the law protects them," she said. A consent decree signed by U.S. District Judge Joan Erickson requires Maxim to post policies informing employees of their rights under federal law and develop new staff training. It also enjoins the company from retaliating against employees who assert their rights or from refusing to discuss reasonable accommodations with employees when they seek to return to work from medical leaves. In court filings, Maxim said the firing was legally justified because Whitledge was unable to perform her job and because she presented a "direct threat" to the health and safety of herself or others. Maxim's attorneys declined to discuss details of the case or explain how Whitledge posed a threat. The settlement also came as a relief to those close to Whitledge. Williams, now of Breezy Point, Minn., was a patrol partner of Whitledge when they worked as New Brighton police officers. After Whitledge retired due to a medical disability from a squad car accident about 12 years ago, she decided to enroll in nursing school because it was her nature to aid people in need, Williams said. The ADA requires employers to make reasonable accommodations so a disabled individual can continue working. In Minnesota, the state Human Rights Act offers similar protections. In 2010, 978 cancer patients nationwide filed complaints of wrongful termination and other types of discrimination, up from 434 complaints in 2000, according to the U.S. Equal Employment Opportunity Commission (EEOC). While other cancer patients have used the ADA to sue over alleged discrimination, many of those lawsuits failed because the courts didn't always treat cancer as a disability. Congress responded to complaints in 2008 by revamping the ADA, changing the law to make it easier for people to prove they are disabled. Whitledge's case is one of three discrimination cases involving cancer patients that have been brought by the EEOC since the ADA amendments were enacted. Disability advocates have watched the cases to see how the courts respond. Friends say Whitledge wanted to keep working after undergoing treatment for brain cancer. But Maxim fired her in February 2009, according to court records. Eight months later, her husband died of a heart attack. Her orphaned 10-year-old daughter was left without any life insurance money because her parents' policies had been through Maxim. After leaving the New Brighton police and training to be a nurse, Whitledge was hired in 2007 as a nursing director for Maxim, a national company with more than $1.3 billion in revenues and 35,000 employees, according to a recent Dun & Bradstreet report. The company, which has 360 offices in the United States, provides nurses and home health care services in Minnesota, and runs hundreds of flu shot clinics. In December 2008, Whitledge took an eight-week medical leave, according to EEOC records. When she tried to return to her job in February 2009, she was told she needed a clearance note from her doctor. Her doctor provided several notes saying Whitledge could work full time and needed only occasional days off for treatment, EEOC records show. "Subsequently, I tried several times to speak to [Maxim's] decisionmakers about when I would be able to return to work," Whitledge wrote in her complaint to the EEOC. "The decisionmakers would not take my calls, so I left messages." A group of 22 holiday makers with hearing difficulties who were prevented from boarding an Air Méditerranée flight for "security reasons" will have their case reviewed by the state authority for defending human rights. The group, including 18 deaf people, three with hearing difficulties and one person without hearing problems, had already checked in their bags for the flight from Marseille to Bodrum in Turkey when they were told they would not be allowed to board. "Just as we were about to board, someone from the company told us we couldn't," Fabienne Guiramand, the daughter of one of the women in the group, told AFP. "We tried to explain to the person who was liaising between us and the pilot that we were all perfectly self-reliant," said another passenger. "Apart from, perhaps, two people who can't speak, everyone was capable of talking and making themselves understood. Several were wearing hearing aids." The airline said on Wednesday that they "regretted" the incident but there were important security reasons. "In the procedures of Air Méditerranée, the hearing-impaired are considered persons of reduced mobility," said a spokeswoman, adding that in such a case the airline would normally assign a member of cabin crew for every five people. The company denied it had discriminated against the group, but admitted that it had made "communication errors" and that the pilot should have spoken directly to the group. "It was unfortunate on our part," said the spokeswoman. "They felt they were being excluded because of their disability when, in fact, it was just for security reasons." "There was no reason to stop them boarding," said Cédric Lorant, president of an association for the hard of hearing, Unisda (Union Nationale pour l'Insertion Sociale du Déficient Auditif). "These are people with hearing difficulties but they are able to understand security guidelines and travel autonomously," he told AFP. Solidarity minister Roselyne Bachelot took up the case on Wednesday, referring the matter to the state-appointed ombudsman for human rights, the Défenseur des droits. "On an airplane, a deaf person is in the same situation as someone who doesn't speak the language of the cabin crew," she said on Wednesday. "Should we only allow people who speak English or French to board?" The Défenseur des droits confirmed on Wednesday evening in a statement that they were examining the case and would "hold hearings if required." BEVERLY HILLS, Calif. - ENCORE is set to celebrate "The King of Comedy," Jerry Lewis, with the premiere of an original, feature-length documentary, "Method to the Madness of Jerry Lewis." Airing Saturday, November 12th at 8 p.m. ET/PT, this contemporary look at the living legend features extensive and in-depth interviews with Hollywood industry icons who have been influenced by the legendary actor, director, producer, writer, singer and humanitarian. Superstars like Jerrry Seinfeld, Alec Baldwin, Eddie Murphy, Chevy Chase, Quentin Tarantino, and more, take part in this special television event that explores the career of one of comedy's most talented and charismatic performers. In addition to never-before-seen footage that helps define Lewis' storied career, viewers will get an intimate look at the unrivaled icon, who is one of the world's most well known philanthropists, as he travels the world continuing his comedic reign at the ripe, young age of 85. Director/Producer Gregg Barson (director/producer of the award-winning Phyllis Diller documentary "Goodnight, We Love You") has worked with Jerry for the past three years, filming him in action from concert tours to the Cannes Film Festival in France. Barson is the only filmmaker to be granted rare and unlimited access to Jerry, who has opened up his private vault of personal archives - never seen before by the general public. "It has been an incredible experience to create a film about a legendary filmmaker. I have admired Jerry my entire life and career, and want the world to appreciate the vast depths of his talent through my interpretation of a true genius," said Barson. "Watch and see how a crazy man made his living," said the legendary Lewis. "This will not be a typical biography on him, but more of a candid look at the man himself as he reflects on his career now and over the years," added Stephan Shelanski, EVP of Programming, Starz Entertainment. "It will remind us of Jerry's true genius as a comedian." Internationally renowned, Jerry Lewis is a renaissance man for all seasons. Performing on stage at the age of five, he has acted, produced, directed and authored books; was part of the immortal comedy duo of Martin and Lewis; invented the Video Assist, a closed circuit television system which is used on virtually every movie and television production; nominated for a Nobel Peace Prize and presented with numerous humanitarian awards, including the Academy of Motion Picture Arts & Sciences' Jean Hersholt Humanitarian Award. In addition to hundreds of television appearances, Jerry has directed and/or starred in films that include: The Nutty Professor, The Ladies Man, The Patsy, Cinderfella, The Errand Boy, The Bellboy, The Family Jewels, The Disorderly Orderly, The Delicate Delinquent, The Caddy, That's My Boy, and Artists and Models. BEIJING -- An outbreak of polio has been confirmed in China for the first time since 1999, leaving one person dead and hospitalizing another nine, according to the World Health Organization (WHO). The disease, a contagious viral illness that in its most severe form causes paralysis, difficulty breathing and sometimes death, broke out in the prefectures of Hotan and Bazhou in the country's western Xinjiang province. Among the ten cases confirmed, six are in children under three years old and four are young adults. The WHO said evidence indicates the virus is genetically linked to polio cases currently circulating in Pakistan, which borders Xinjiang. Pakistan has been affected by the nationwide transmission of the same WPV1 strain. It also warned the virus could spread beyond the current affected area. Helen Yu, WHO "Although other areas in China or other countries are not immediately at risk due to the geographic distance to the affected province, the polio virus can travel great distances and find susceptible populations, no matter where they live," Helen Yu, from the WHO's Beijing office told CNN. According to China's Center for Disease Control and Prevention, the Ministry of Health has dispatched a group of public health experts to the affected region to help treat the virus. It said the local government had launched a mass vaccination campaign starting in early September. WHO confirmed initial vaccination campaigns carried out by mid-September had reached over 3.5 million children -- children being particularly vulnerable to polio. Further vaccination campaigns will be conducted in the near future to ensure this outbreak is brought completely under control, according to the health ministry. "No matter how long a country has been polio-free, as long as global polio eradication has not yet been achieved, the risk for importation remains and constant vigilance is required." said Yu. Polio, also known as poliomyelitis, is usually transmitted through contaminated food and water. It invades the nervous system and often leads to permanent paralysis. It can be prevented by immunization. This is the first outbreak of polio in China since 1999, when a case was reportedly brought into the country from India. The Division of Student Affairs has appointed Diane R. Wiener as the first director of SU’s new Disability Cultural Center. Wiener will begin on Oct. 17. From 2005 to 2011, Wiener served as an assistant professor at SUNY Binghamton in the Department of Social Work. She has extensive teaching, group facilitation, advising and mentoring. She also has significant experience in program development and management, leadership, counseling, disability advocacy, assessment and supervision. Wiener has worked closely with people with disabilities in non-therapeutic and therapeutic contexts, in accordance with sociocultural models of disability. She has particular interest in and experience with college students with disabilities. Wiener has also worked as a graduate teaching associate and instructor of record at the University of Arizona, and as an adjunct faculty member and graduate adviser for the master of arts programs at the Prescott College Tucson Center. She worked with the Tucson Youth Development Midtown Neighborhood Project and the Tucson LGBTIQ Youth Suicide Prevention Project, as well as for many agencies and organizations in the social services and activist fields in New York, New Jersey and Arizona. Wiener earned her Ph.D. from the University of Arizona, majoring in comparative cultural and literary studies and minoring in anthropology. She has a postgraduate certificate in medical anthropology, also from the University of Arizona. She received a B.S. in animal science from Rutgers University and an M.S.W. from Yeshiva University. She is registered as a licensed master social worker in the state of New York. The Disability Cultural Center will function as an umbrella organization under which social, cultural and educational programming related to disability and disability culture will take place. 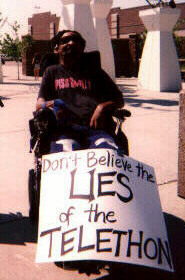 The initiative to create a University-wide disability cultural center began after the Chancellor’s Task Force on Disability recommended the establishment of a center in its 2007 report to the Chancellor. Supported by the Division of Student Affairs and the Center on Human Policy, Law and Disability Studies, graduate assistant Liat Ben-Moshe came on board as the coordinator of the initiative throughout the 2010-11 academic year. The Disability Cultural Center will be a partner to other existing programs, groups and departments across campus, including the Beyond Compliance Coordinating Committee; the Office of Disability Services; Students United for Visual Access Today; the Disability Law Society; Taishoff Center for Inclusive Higher Education; the Center on Human Policy, Law and Disability Studies; the Disability Law and Policy Program; the Burton Blatt Institute; the ACCESS and OnCampus programs; and the Institute on Communication and Inclusion. The National Council on Disability wants to know about employment opportunities where YOU work. Employment rates for people with disabilities have fallen almost continuously since the 1990s, despite the passage of the Americans with Disabilities Act (ADA) twenty-one years ago. When employed, people with disabilities have been a remarkably reliable labor force historically, but when industries cut back, disabled people are often the first to lose their jobs. When there is growth, they are consistently the last hired. The employment gap between men and women with and without work-related disabilities has increased over the past 20 years, hitting 57.4 percent by 2009. The largest gap on record. Lastly, jobs for people with disabilities tend to be in secondary labor markets with subsistence pay, low skill requirements, and few opportunities for advancement. A higher than average number of positions are part-time jobs. Electronic networks and new digital technologies have transformed how we communicate. The "new economy" thrives on human knowledge and uses ways the ways we share information as its starting point. Connection, interdependence and free exchange of ideas are the foundation of the new economy in general but also bolster the workplace specifically. Virtual worlds are steadily eradicating the barriers that have traditionally blocked equal access. As such, electronic networks arguably level the playing field more for people with disabilities than they do for the non-disabled population. Sadly, connections between those networks among people with disabilities is typically weaker, and the bridges between employer and potential employee therefore less effective. NCD's virtual job fair acknowledges that there is much progress yet to be made and seeks to use the innovations available now to build a better future. To have your employment notice included, email the information listed above to LCarterLong@ncd.gov. On October 4, positions will be distributed via NCD's Twitter feed with the hashtag #NCDJobFair at regular intervals throughout the day. You can track the event live at by following tweets via @NatCounDis on Twitter that day. Notices must — of course — fit Twitter's 140-character limit, but will be linked directly to your website and mirrored on NCD's Facebook page. At the conclusion of the virtual job fair, NCD will send out a single email listserv message containing a collection of all the job opportunities posted throughout the day. Stephanie Cris Matthews, who was founder and past president of the Chicago disability rights groups, ADAPT and Jerry's Orphans, died Sept. 15. She was the wife of David Smiskol and sister of the writer and disability rights activist Mike Ervin. Matthews was born and raised on Chicago's southwest side. She was a graduate of Southern Illinois University-Carbondale. She was a former staff member of Access Living and Equip for Equality, and past president of Chicago Ridge Animal Shelter. She also was an avid animal lover and she loved yard sales. The Memorial Service for Cris Matthews will be 2:30 p.m., Saturday, Sept. 24 at LaGrange Bible Church, 850- 7th Ave., LaGrange, Ill. In lieu of flowers, memorials to LaGrange Bible Church, 850- 7th Ave., LaGrange, IL 60525 or Peoria Rescue Mission, 601 SW Adams St., Peoria, IL 61602 are appreciated. 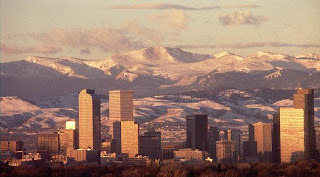 Society for Disability Studies Call for Proposals, 25th Annual Conference, Denver, June 20-23, 2012: "Collaborations, Cultures, and Communities"
The terms “collaborations,” “cultures,” and “communities” express many meanings on many different levels, ranging from the most intimate personal and familial relations to the broadest global and virtual arrangements. With this year’s theme, we seek to challenge potential presenters to explore the rich and varied ways in which people with disabilities are shaped by and in turn form their own collaborations, communities, and cultures. At the same time, we must also be mindful of the ways in which the larger, nondisabled population has -- through common, dominant cultures and collaborations of power -- worked both to exclude and to include disabled people in community and cultural formation and development. In addition, we hope presenters will explore the ways in which disabled people themselves have sometimes restricted access to their own communities and cultures and worked to form limited collaborations with one another. We believe that this is a time for members of SDS to consider the many ways in which we might strengthen our communities and express our dynamic cultures by recognizing not only our many commonalities, but also our tremendous and incredibly valuable diversity. Our hope is that this year’s theme will encourage members to foster spaces that value diverse expressions and analyses of class, race, gender, sexuality, sub-culture and national status within SDS and the broader communities of people with disabilities. * How have coalitional politics shaped momentum–or barriers–in disability activism? This year’s program committee is introducing the idea of specific “strands” that relate to the larger more general theme of the SDS conference. Each strand may have 3 or 4 related events (e.g. panels, workshops), organized to occur throughout the conference and in a way that will eliminate any overlap of sessions in an effort to facilitate a more sustained discussion of specific issues that have arisen as areas of interest within the organization. - Denver / local movement history: Denver (pictured) has a rich history of disability activism that offers tremendous opportunity for exploration. Denver will be hosting a disability arts festival to coincide with the Society for Disability Studies meetings. All submissions in formats A to F below are peer reviewed. All session formats are 90 minutes in length, including all introductions, presentations, discussion, and closure. A. Individual Presentation: Individual presentations will be placed alongside three other panelists with a similar topic and a moderator chosen by the Program Committee. In general, we assume 15-20-minute presentations (if you are requesting a longer time, please specify and explain why). Presenters are required to submit 300-word abstracts for individual papers/presentations. List all co-authors, if any, and designate the presenting author(s). B. Poster: Individuals or small teams will be provided a common space and time with an easel (and/or table if requested) to present a display of a research, training, service, or advocacy project, or other work. Presenters should be in attendance at the poster session. Submissions for the poster session requires a 300-word abstract, complete contact information for anyone involved in the project who will attend SDS, and a designated lead contact person. We encourage people to submit proposals specifically for the poster session. Each year, SDS proudly awards the Tanis Doe Award for the best poster. Additionally, this year, we will award “Honorable Mentions” for posters with student first-authors at each level of education: K-12, community college, four-year college/university, and graduate school as a way of encouraging student participation in the poster session. C. Panels: Groups of 3-4 presenters (each with 15-20 minutes), a designated organizer / contact person and moderator (need not be the same person), plus an optional discussant, are encouraged to submit proposals around a central topic, theme, or approach. Panel proposals require BOTH a 300-word proposal describing the panel AND a 300-word abstract for each paper/presentation. List all paper/presentation co-authors, identify the presenting author(s), and provide biographical information for the discussant, if one is planned. D. Discussion: A topical discussion with a designated organizer / contact person and moderator (need not be the same person), but no formal presentations. Submit a 500-word proposal, including a description of how the time will be used, complete contact information for the designated organizer and each participant in the discussion, and a description of their roles. F. Performance, Film, or Art Event: We encourage submissions of an artistic performance by individuals and/or groups. Submissions must include a 500-word proposal, and sample of the proposed performance (up to 2,500 words of text, ten images of artistic work, demo CD, YouTube or other Internet link, DVD, or other appropriate format). Send via email at SDS2012@disstudies.org or postal mail to the SDS Executive Office at 107 Commerce Centre Drive, Suite 204, Huntersville NC 28078 USA. Samples must reach the SDS Executive Office by the submission deadline. Please describe the background and role of each artist/participant and designate a contact person / moderator. Performers should be aware that SDS does not have the ability to provide theatrical and or stage settings in the 2012 venue. While every effort will be made to provide appropriate performance spaces, proposing performers are advised that special lighting, audiovisual equipment, and staging requests cannot be accommodated. All film entries accepted for presentation at the 2012 Conference must be provided to the SDS Executive Office on DVD not less than 30 days prior to the start of the Conference in open-captioned format, and the presenter should be prepared to provide audio description as needed. As SDS cannot pay distribution rights for film screenings, the provider of the film is fully responsible for securing any necessary permissions from trade and copyright holders for public showing. Sponsors of accepted films must register for and attend the conference, host the screening, and bring documentation of rights clearance to the Conference and have it available during the time of film showing. SDS may request the right to schedule more than one screening at the conference. SDS program committee may request more samples and cannot return materials that are submitted for consideration. G. Student interest group/Caucus/Other (non peer-reviewed): Various ad hoc and organized SDS or other non-profit groups may wish to have business, organizational, or informational meetings or some other kind of non-peer reviewed event or exhibit space at the meetings. Anyone hoping to host any such event should request space by December 1, 2011 by using the proposal submission form. After December 1st, space will be allocated on a first-come, first-serve basis. No meetings can be planned through SDS after the early-bird deadline of April 15, 2012. All presenters at such events must register for the conference. Requests from groups not affiliated with SDS may be assessed a share of cost for space and access arrangements. Please provide the name of group, a description of the group and/or meeting purpose and format (in 300 words), and contact information for at least one organizer and a designated moderator. • A Special Note on Films / Film Shorts: Films and film clips may be submitted as part of any of the format categories described above. Follow the appropriate instructions above. Participants proposing films within any of the proposal formats must be registered for and attend the conference. Ideally, film length should not exceed 60 minutes under any category, to allow time for introduction and / or comments. All film entries must be captioned and the presenter should be prepared to provide audio description as needed. SDS cannot pay distribution rights for film screenings. • All participants must register for the conference by the early bird deadline: April 15, 2011, or they will be removed from the program. Please note: low income/student/international member presenters are eligible for modest financial aid for meeting costs. Applications for financial assistance will be available via the SDS listserv in the coming months. • Participants MAY NOT appear in more than TWO peer-reviewed conference events (excluding evening performances, book reception, non-presenting organizer, non-presenting panel moderator, New Book Reception). Individuals with multiple submissions will be asked to rank order their preferences for participation. The program committee will prioritize spreading program slots across the membership before offering multiple slots to any one participant. • Any participant with a book or other materials (e.g., DVD, CD) published within the last three years (2010, 2011, 2012) is welcome to participate in the New Book Reception. Authors will be provided a table for display and the opportunity to interact with conference participants. The fee for representation in the New Book Reception is $40.00. You may register and pay for your participation as a part of your overall Conference registration, not through this proposal portal. • Any participant is welcome to request meeting space on behalf of a group. Requests for meeting space should be made by the December 1st submission date. Requests will be accommodated thereafter on a first-come, first-served basis and must be received by the SDS Executive Office in writing to SDS2012@disstudies.org no later than May 1, 2012. • Please indicate on the submission form whether you are willing to serve as moderator for a session. • If you intend to participate in multiple events, please complete the submission process for each event. • Participants will be notified of the status of their proposal by March 1, 2012. • Any cancellations and requests for refunds after April 15, 2012 (the early bird deadline) may incur a cancellation fee. Any participant unable to attend must notify SDS in a timely fashion. • Accessibility: In keeping with the philosophy of SDS we ask that presenters attend carefully to the accessibility of their presentations. o Provide hard copy and large print hard copies (17 point font or larger) of all handouts used during the presentation. o Provide an e-text version of papers and / or presentation materials such as PowerPoint slides and a summary of one’s presentation with a list of proper names, terminology and jargon in advance of their delivery (for open captioning, distribution to attendees with print disabilities, and to assist ASL interpreters with preparation). SDS will also use this material to create an on-line forum of all work submitted by June 10th in the hopes of facilitating a more inclusive and richer discussion on-site. After June 17, 2012 work cannot be added to the forum. Participation in this forum is optional, but strongly encouraged. This forum will be password-protected and available only to those participants who have registered for the conference. o Make allowances for a “Plan B”: consider bringing your presentation on a jump drive and projecting the text of your paper to enhance captioning. o Provide audio-description of visual images, charts and video/DVDs, and/or open or closed captioning of films and video clips. o Contribute to improving intellectual access at the conference: consider your presentation as an opportunity to engage your audience. • Avoid reading your paper. • Plan your presentation to accommodate captioning and ASL interpretation. Avoid using jargon, and slow the pace of your presentation to allow time for eye contact and spelling proper names and terminology. • SDS does not provide computers, overhead projectors, or other audio/visual equipment as a matter of course. Presenters are responsible for ensuring that presentation structure and planning works well within these audio/visual parameters. The Tanis Doe Award for best poster will be judged and awarded at the poster session of the SDS conference. The Tanis Doe Award includes a cash award, a certificate of recognition, and the posting of authors names on the SDS website. The Tanis Doe Award is open to everyone at all levels of education and experience. Additionally, this year, we will award “Honorable Mentions” for posters with student first-authors at each level of education: K-12, community college, four-year college/university, and graduate school as a way of encouraging student participation in the poster session. SDS also honors the recipients of the Senior Scholar Award and the Irving K. Zola Award for emerging scholars at the annual conference. Please see the Call for Nominations via the SDS listserv and website. Decisions regarding these awards are made prior to the conference. Award winners will be invited to present during the program and receive recognition at the SDS business meeting. The Zola Award also includes publication in a future issue of Disability Studies Quarterly. Other awards may also be presented at the SDS business meeting. By submitting to SDS 2012 in Denver, you give SDS full permission to publish your abstracts, photograph you, publish such photographs on the SDS web site or other publications, audio or video record your presentation, transcribe the presentation for access needs, and transmit or post and archive such recordings and transcriptions via live-streaming, podcast form, or any other electronic means. If submitting on behalf of multiple presenters and authors, you certify that each presenter and author has granted his/her permission to Society for Disability Studies for purposes described in this paragraph. By giving this permission, you understand that you retain full rights to your work but give SDS the right to use your presentation in the context of the 2012 conference, including (but not limited to) charging attendees and others for access to derivative audio or video products, recordings or podcasts. The bride wore white and her groom was all smiles as she walked down the aisle Sept. 17, escorted by her father. The couple exchanged rings and vows of commitment, and enjoyed their first dance. However, the couple, Jeanne Waters and Charles Wisner of Frederick, are not your average bride and groom. 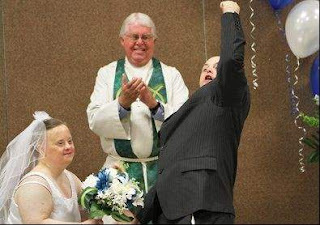 They both have Down syndrome, and because of their developmental disabilities are unable to marry. But on Saturday, they were joined together in a commitment ceremony held at the Scott Key Center, where they met and became boyfriend and girlfriend 25 years ago. The center is a division of the Frederick County Health Department that provides jobs for people with developmental disabilities. "They've been Jeanne and Charlie forever,” said Portia Hood, an instructor at the center. “They could get married, but I don’t think they could carry on a household. They sit together every day at lunch, and Charlie makes sure everything is right for Jeanne. They have been very committed to each other for 25 years." Jeanne, 47, and Charles, 38, live in separate group homes in Frederick and will continue to do so. "They can't live together at this point," Hood said. But after 25 years, the Scott Key Center wanted to do something to honor this special relationship. Hood said the idea was to have a simple pizza party in the park. But the pizza party blossomed into a ceremony with blue and white table settings, flowers, balloons, food and music, thanks to help from the Frederick Area Bridal Network, a nonprofit organization that helps brides and grooms plan their wedding. As the Rev. David Beeson, the former director of the Scott Key Center, officiated over the ceremony, with words of love and friendship, Charles smiled and wiped away tears. Jeanne held tightly onto her bouquet, at one point asking to sit down. "We're almost done, I promise you," Beeson told Jeanne. Chairs were eventually provided for Jeanne and Charles, as friends were asked to say a few words about the couple. They exchanged rings and gave each other a hug at the conclusion of the ceremony. "It might be raining, but the sun is shining for both of you," Beeson said, referring to the inclement weather Saturday. Before the ceremony, family members expressed excitement, saying they thought this would never happen. "It's a once-in-a-lifetime thing for him,” said the groom's sister, Jennifer Wolfe of Emmitsburg. "This is wonderful," said Kathy Faia, who traveled from New Orleans to attend. “[Jeanne] is so excited. I didn't think this would ever happen. It's really something special." J.R. Martinez, a former soldier and burn survivor, laces up his dancing shoes to be on "Dancing With The Stars"
ROCKFORD, Mich. — Brien Dews of Rockford hopes people will be inspired by more than killer moves when the “Dancing with the Stars” season premiere kicks off tonight. One of the celebrity dancers — J.R. Martinez — a former soldier, burn survivor and actor on “All My Children,” is lacing up his dance shoes for a shot at winning the title with partner Karina Smirnoff. For Dews, Martinez’s dancing debut is showcasing how burn survivors keep living despite their life-changing injuries. “That is what J.R. is showing, especially being such a public forum,” Dews said. Martinez was burned on more than 40 percent of his body when his Humvee hit a land mine when he served in Iraq in 2003. The injuries left him with scars on his face and the loss of his left ear. Three years earlier, Dews lived his own survival story when 35 percent of his body was burned in a private plane crash that killed the pilot, Daniel Rose of Ohio. Dews’ recovery included a six-month drug-induced coma, skin graphing and the loss of his right pinkie finger – something that threatened the livelihood of the clock maker and owner of All Good Time Clock Service. Both men had to begin again. As an actor, Martinez found it especially tough. “To some extent, you start out as a victim, (and) you can remain in that role in you want to ... if you allow yourself to,” Dews said. Dews found support through the Phoenix Society for Burn Survivors — a national organization that provides support services through conferences and online resources. Martinez — now a motivational speaker —is a board member of the organization, of which the word “survivor” is inherent in the name, said Amy Acton, executive director of the Phoenix Society for Burn Survivors. Acton, who also is a survivor — she received electrical burns in a boating accident — recoils when people use the word “victim” to describe people with burn injuries. Brien Dews serves as the mayor pro-tem of Rockford and uses his life to motivate others in similar circumstances, he said. “Fingers!” Gerwin Schalk sputtered, waving his hands around in the air. “Fingers are made to pick up a hammer.” He prodded the table, mimicking the way we poke at computer keyboards. “It’s totally ridiculous,” he said. I was visiting Schalk, a 40-year-old computer engineer, at his bunkerlike office in the Wads­worth Center, a public-health lab outside Albany that handles many of New York State’s rabies tests. It so happens that his lab is also pioneering a new way to control our computers — with thoughts instead of fingers. Schalk studies people at the Albany Medical Center who have become, not by choice, some of the world’s first cyborgs. One volunteer was a young man in his 20s who suffers from a severe form of epilepsy. He had been outfitted with a temporary device, a postcard-­size patch of electrodes that sits on the brain’s cortex, known as an electrocorticographic (ECoG) implant. Surgeons use these implants to home in on the damaged tissue that causes seizures. Schalk took advantage of the implant to see if the patient could control the actions in a video game called Galaga using only his thoughts. In the videotape of this experiment, you see a young man wearing a turban of bandages with wires running from his head to a computer in a cart. “Pew, pew,” the ship on the computer screen whines, as it decimates buglike creatures. The patient flicks the spaceship back and forth by imagining that he is moving his tongue. This creates a pulse in his brain that travels through the wires into a computer. Thus, a thought becomes a software command. But for Schalk — and many others in the field — the ultimate goal is not music. It’s language. Schalk dreams of letting people speak with their neurons, issuing silent commands to their machines. You could imagine the word “cat,” say, and it would pop up on your computer screen. The areas involved with imagined speech take up just a few centimeters in the brain. With better implants, Schalk said, he might be able to pick up a word that his volunteer beams at the computer. Even with today’s implants, he and his colleagues are getting closer. One epilepsy patient moved a ball across a computer screen simply by imagining either an “ooh” sound or an “aah” sound. It marked one more step toward telepathy with machines. For years, computers have been creeping ever nearer to our neurons. Thousands of people have become cyborgs, of a sort, for medical reasons: cochlear implants augment hearing and deep-brain stimulators treat Parkinson’s. But within the next decade, we are likely to see a new kind of implant, designed for healthy people who want to merge with machines. With several competing technologies in development, scientists squabble over which device works best; no one wants theirs to end up looking like the Betamax of brain wear. Schalk is a champion of the ECoG implant because, unlike other devices, it does not pierce brain tissue; instead it can ride on top of the brain-blood barrier, sensing the activity of populations of neurons and passing their chatter to the outside world, like a radio signal. Schalk says this is the brain implant most likely to evolve into a consumer product that could send signals to a prosthetic hand, an iPhone, a computer or a car. “The burr hole in the skull will be small,” Schalk told me enthusiastically, as if urging me to get one of the plugs. The first dedicated trials in human beings, he says, are only a few years away. Schalk first began working with the ECoG implant in 2003, when a surgeon at Washington University in St. Louis invited him to visit the epilepsy ward; four patients had been taken off their medication and had portions of their skulls removed so they could be implanted with ECoG devices. The implants — usually worn for about a week — allow surgeons to study the aberrant brain patterns of patients as they go into seizure and then cut out the damaged brain tissue. Schalk camped out in the Missouri hospital to wait for the periods when patients were between seizures, at which point he would try to transform the brain signals emitted by their thoughts into software commands. He was, in effect, designing a button that the mind could push. “We had no clue what we were doing,” Schalk says. Now Schalk can get all the human brains he wants within walking distance of his office. In 2007, he discovered that the Albany Medical Center houses an epilepsy center, and he set up shop in his hometown, working closely with Anthony Ritaccio, a professor of neurology and neurosurgery at Albany Medical College. Schalk and Ritaccio’s research has been underwritten by a $2.2 million Department of Defense grant. The project is part of a $6.3 million Army initiative to invent devices for telepathic communication — for instance, a “telepathy helmet” that would allow soldiers to beam thoughts to one another. Schalk seemed untroubled by the military applications. He said the grant allows him to do research that could, one day, let us all — civilians included — merge with our machines. 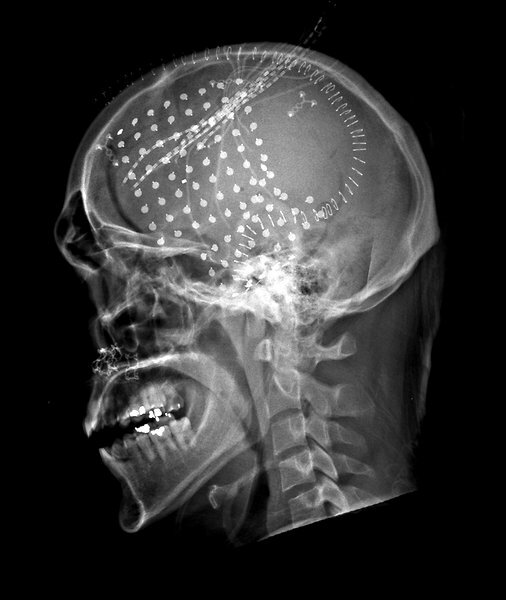 Justin Williams, a biomedical engineer at the University of Wisconsin, has already transformed the ECoG implant into a microdevice that can be installed with a minimum of fuss. It has been tested in animals for long periods of time — the micro ECoG stays in place and doesn’t seem to negatively affect the immune system. Williams said he hopes to try it in humans soon. “Our goal is to make devices that would require only an outpatient procedure,” he says. “Even if we could make it an overnight stay in the hospital, that would be good.” The implant, in humans, would be about the size of a quarter and sit like a plug in the skull, with a tiny antenna for wireless hookup between machine and brain. The first to receive the implants would most likely be patients with serious illnesses or disabilities. “We’re targeting neuroprosthetics, spinal-cord injury, A.L.S., motor disorders,” Williams said. “And there’s a lot of interest in epileptic patients.” Williams said he hopes that the tiny implants might afford surgeons more ways to monitor what happens inside the skull. “There are a lot of brain injuries where we don’t understand what’s going on,” he said. But Schalk anticipates a much larger audience for the implants. In fact, he believes that the tiny implant will be a kind of gateway drug for people who choose to become, essentially, cyborgs. Pomerleau and his colleagues are already using machines to let people transmit their silent thoughts — but in an extremely rudimentary fashion. In order to send a telepathic thought in their lab, you have to climb into an fMRI machine, a multimillion-dollar scanning device that delivers detailed maps of the mind in action. How does it work? Try this: Tomato. Tomato. Tomato. Each time you read that word, a specific pattern of neurons fires in several different neighborhoods of your brain. You’re doing more than just passing your eyes over a bunch of letters; you’re also remembering the tomato’s ruby flesh and the way fingers dimple the skin and the earthy smell of its stem. Tom Mitchell, a brain scientist and Pomerleau’s colleague at Carnegie Mellon, said it was possible to use this kind of activity to send a telepathic message. First, you lie in the scanner, thinking about the words you see on a screen — “airplane,” “truck,” “hammer,” “apple.” As you do this, a software program studies the patterns in your neurons. “I can give you different nouns, like hammer, screwdriver and tomato, and then use our software program to distinguish which of those nouns you are thinking about,” Mitchell said. Most intriguing: the pattern of “tomato” in your brain is similar to the tomato in my brain — and even to the tomate in the brain of a Portuguese speaker. Mitchell is the first to admit that the fMRI will never evolve into a wearable device or a reasonable brain-­computer interface. Nonetheless, the machine is helping to push the technology forward. “If you want to build a good device,” one that is noninvasive and portable, “it’d be really helpful for you to know what is the real neural activity going on,” he said. Pomerleau said they are “trying to show the world what amazing things you can do if you could get good brain signals out” of the skull. Schalk is grappling with his own version of this question. In 2008, he published a paper in The Journal of Neural Engineering, which proposed a kind of Esperanto for man to converse with machine. Human beings could learn to think in patterns easily recognized by computers, to create bursts of thought that acted as software code. “This paper is not science fiction,” he insisted. At Dartmouth College, the future seems to have already arrived. Researchers there are in the process of creating an iPhone connected to an EEG (electroencephalography) headset. The beauty of an EEG is that no skull drilling is required. Sensors glued to the scalp record the patterns of neurons. The drawback is that the human skull blocks most brain waves before they rise to the scalp, so the EEG signal tends to be weak and muddy. I encountered what they call a NeuralPhone in a basement lab littered with Doritos bags. Matt Mukerjee, the grad student who put it together as part of his senior thesis, stood to shake my hand. He was wearing what appeared to be an octopus on his head — an EEG headset made by Emotiv Systems. Its black plastic tentacles curved above his forehead and disappeared into his mop of hair. “I’m going to call Einstein,” he said. In its demo mode, the phone gave you a choice of six people — including President Obama, Steve Jobs and Albert Einstein — and let you pick one, telepathically. The NeuralPhone was meant to demonstrate that one day we might mind-control the contact lists on our phones. In a preliminary study, Mukerjee’s iPhone responded to the user’s thoughts with an accuracy rate that approached 90 percent — but only under ideal conditions. Mukerjee hunkered down in his chair and meditated, as he glared at the phone. After a long pause, a photo of Einstein expanded to fill the screen on his iPhone. “You have a small head,” Mukerjee said accusingly. He slid the headset around, trying to force the electrodes to grasp my scalp more tightly, which didn’t work. He decided to cheat a little. He rearranged the electrodes so that they detected the movement of muscles on my forehead. This time, the results were magical. As soon as I chose Bill Gates, a photo of Gates splashed onto the phone’s screen. I was not aware of blinking or moving the muscles of my face. The phone seemed to have merged with my body, to be as much a part of me as a finger or toe. I found myself laughing. I couldn’t stop saying, “This is freaky.” And it was.